The Bible gives us story after story about ordinary women, "little people," who, because they dared to trust God, influenced their families, changed their communities, and affected the course of history. They faced the same challenges we face today-poverty, illness, death, war, loneliness, injustice, and difficult relationships and chose to believe God in those circumstances. In these studies we can find encouragement to "imitate their faith" (Hebrews 13:7). 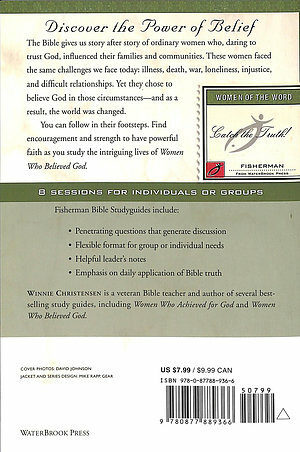 Women Who Believed God by Winnie Christensen was published by Waterbrook Multnomah in June 2001 and is our 50764th best seller. 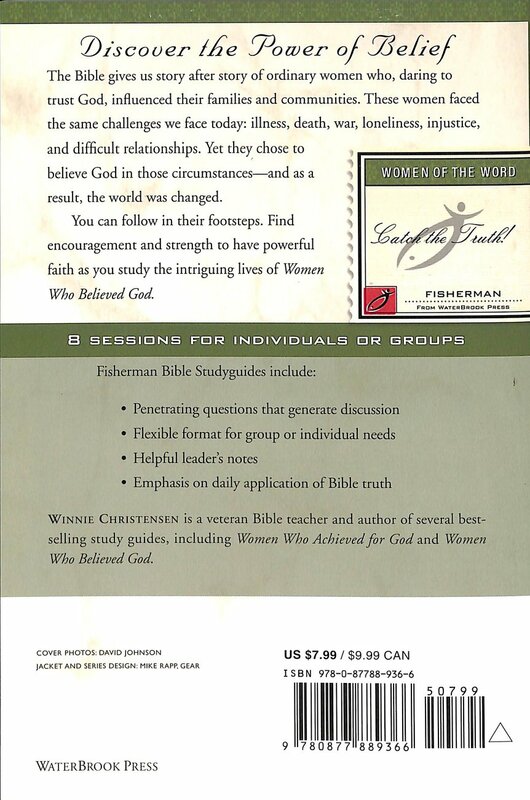 The ISBN for Women Who Believed God is 9780877889366. Be the first to review Women Who Believed God! Got a question? No problem! Just click here to ask us about Women Who Believed God.